We are the ISO 9001:2008 certified manufactures and exporters of UPVC Elbows. The elbows offered by us are manufactured using high-grade raw material, which is sourced from the reliable vendors of the market. 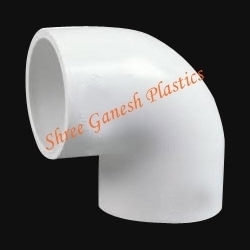 Owing to their features like durability, efficiency and reliability, these elbows are widely demanded by the clients. 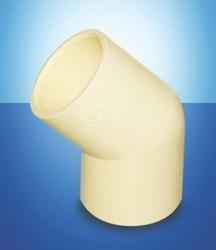 DEFLEX UPVC Elbow 90 Degree, for Structure Pipe, Size: 1/2"
Available Size: 1/2" to 3"